Extend your Sky, Sky HD, Sky Q. satellite or virgin media cable with our range of satellite extension leads, available in lengths from 0.5m to 20m. 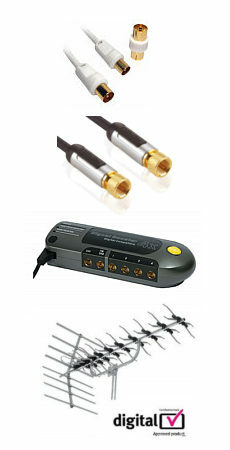 Ideal to extend any cable TV or satellite system that uses f-type screw on connections. Our extension cables are easy to use and a cost effective way to move your equipment with minimal hassle, simply screw the coupler onto your existing cable then screw the new cable onto the coupler and finally screw the other end of the cable onto your equipment. To extend a dual satellite system 2 extensions will be required.